er another old TAST stitch, butterfly chain. Did you notice how it is basically another twisted chain variant? At the beginning, I did it wrong, trying to make it a normal chain variant. Then I learned and explored its usefulness for formal bands. 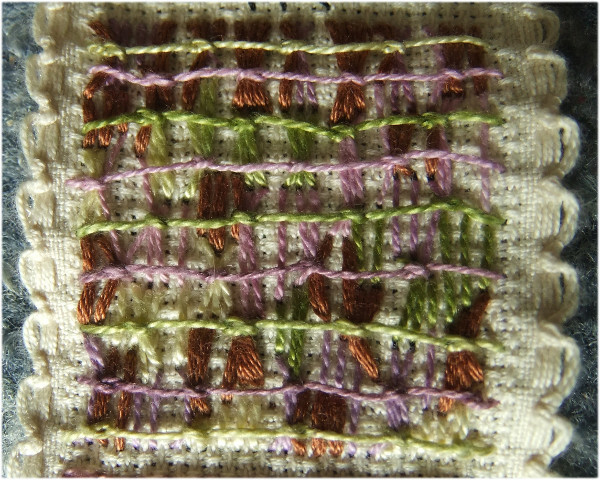 During the first few rows I tried it as a regular chain stitch variant. Then, I tried to do it in a more random way. I was not entirely convinced. But this did get my imagination going. how about doing this as bark of a tree? 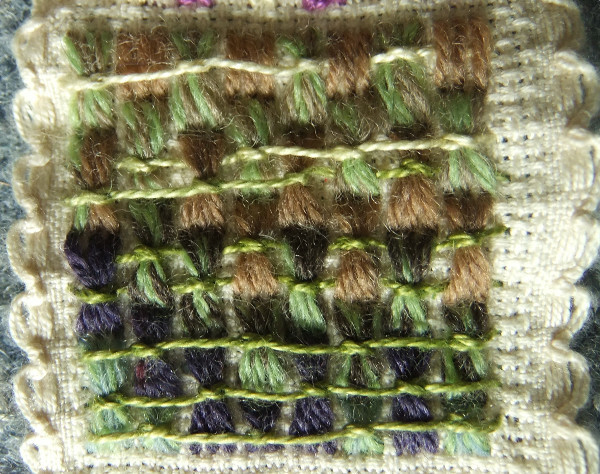 The next sample was about as random, only I used wool thread that gives a good coverage for most of the ground stitches. I like this much better, although the first random version is probably better for bark. This entry was posted on Saturday, July 5th, 2014 at 10:46 pm	and tagged with butterfly chain, hand embroidery, TAST 2012, twisted chain stitch family and posted in embroidery, TAST 2012. You can follow any responses to this entry through the RSS 2.0 feed. 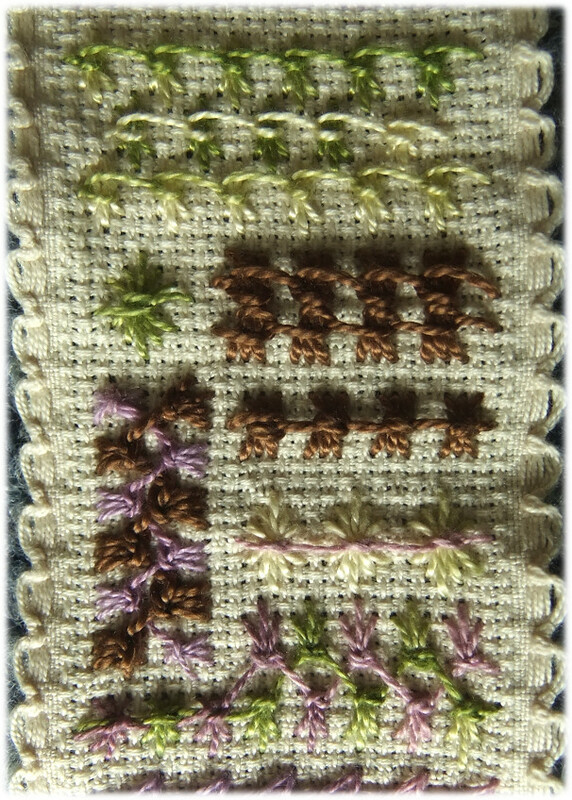 I like all your variations, especially the ‘flowers’ with five base straight base stitches.